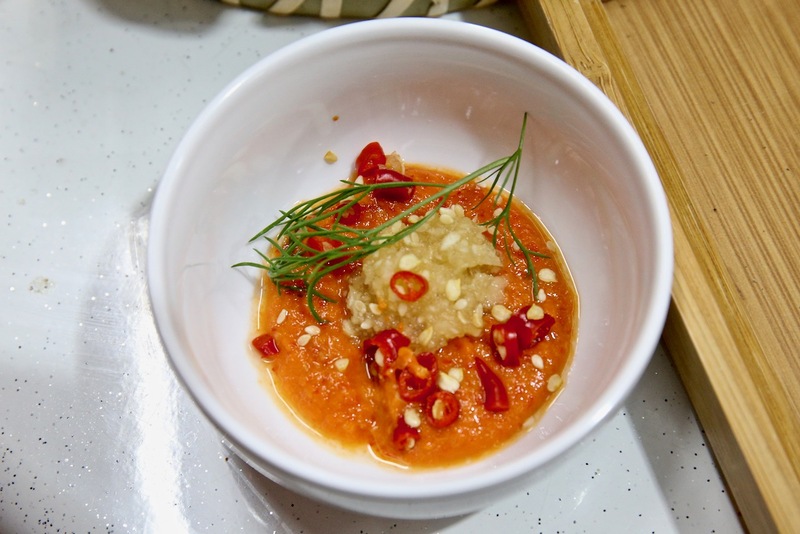 This very delicious food tasting journey to QUAN FA (a farm to table) mookata began with just a simple conversation during an evening tour to visit the Singapore Philatelic Museum. There is a new food place for us to visit for a food tasting session! Alright, the rest of the folks replied, for those who were able to attend. 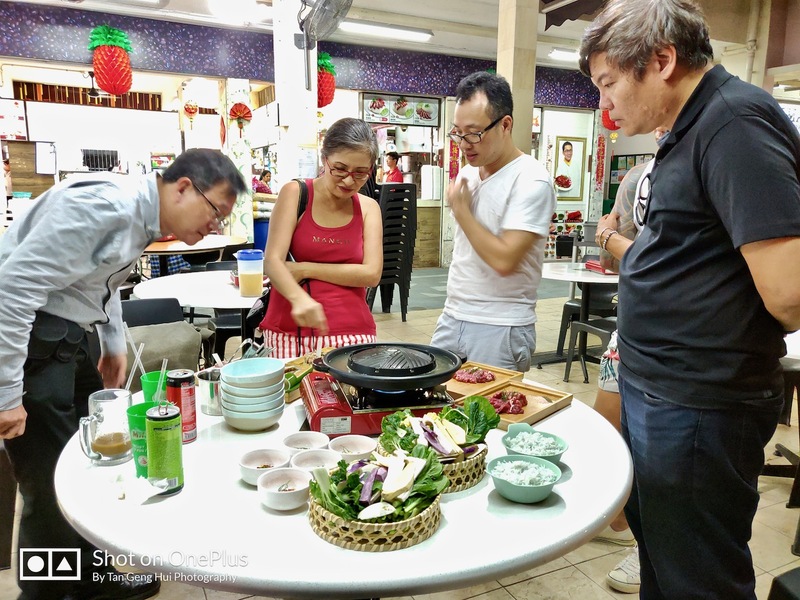 One week later, we made our appearance at Jurong East Street 31, visiting QUAN FA mookata. Personally, this was also my first time eating a mookata meal! While we were hungry with a grumbling stomach, we had to wait eagerly to cook and eat because food photography had to be completed first, the cameras ate first before we can cook them and eat! First and foremost, before I go into the most important segments on the food, let me share a brief history and introduction to QUAN FA mookata. Since 1999, a group of passionate farmers to ethical suppliers, supplying the best, quality produce, from the farms to the table, an authentic, fine organic produce giving customers the truest experience of the communal and traditional Thai “kampong” style mookata dining experiential journey. Through the servings of only the finest and freshest of sustainable farming, inside their marinated chilled meats and vegetables, to the broth and sauces, Quan Fa Mookata brings you (whether you are a food lover, food writer or food connoiseur) into a world whereby the taste and quality are not just as its finest and freshest, the unqiue QUAN FA experience from the farm to table whereby you would not forget. Quan Fa Mookata is truly a farm to table concept, they collaborate with Quan Fa Organic Farm that delivers a variety of fresh vegetable daily. In collaboration with other local farmers, the eggs are from local egg farmer, Uncle William’s Lian Wah Hang Quail & Poultry Farm, chilled meat from Toh Thye San Farm, fresh fish paste from Ha Li Fa (Bobo Fishball) and frog legs from the famed Jurong Frog Farm. One unique aspect of Quan Fa Mookata cuisine is that they don’t serve processed ready food like your typical mookata (e.g. no luncheon meat, crabstick, hotdogs etc). The broth is special and the skillet is lined with imported A2 milk Desi ghee instead of lard chunks. Are you ready? The Quan Fa Mookata dining experience is now going to start, follow me through in this gastronomic delight! 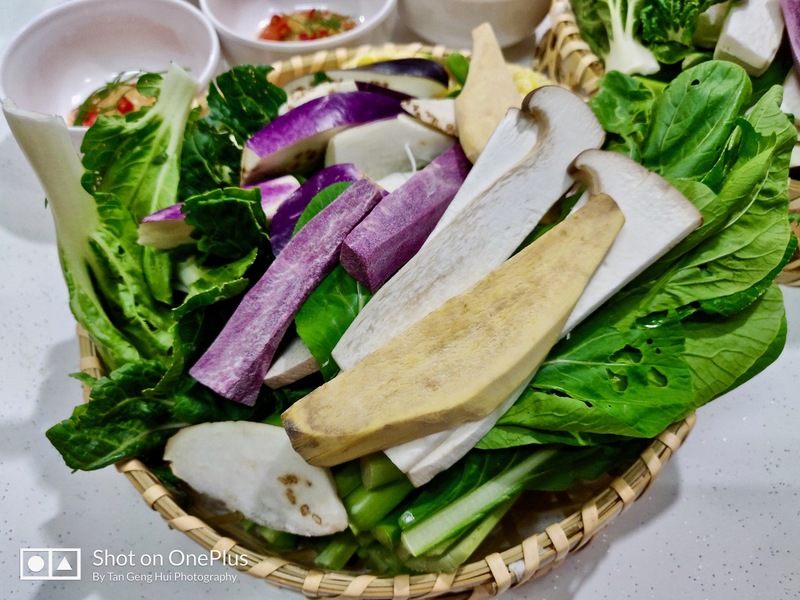 This vegetable basket is a silent champion of the Quan Fa Mookata cuisine, it might not be as glamourous as compared to their marinated meats selection and fish paste, however, once you taste it, the vegetables would change your mind. It’s the showcase of Quan Fa Organic Farm’s prized produce, delivered fresh daily at 4pm, a curation and assembly of a minimum of 3 leafy greens, various hardy and seasonal vegetables. An experience that is equivalent of going to your own vegetable garden, picking them fresh from farm and onto your mookata. Oh yes, you can eat it raw too, if you like it, organic, fresh and delicious! The meat are freshly chilled from local suppliers, never frozen. Great care and preparation on the meats can be felt, seen and tasted upon cooking., from careful drying to using their herbs, spices, acids and oil method, these freshly marinated meats are vacum for a minimum of 30 hours deep infusion. The dryness of the marinated meats lifts the grilling experience on the skillet. All the preparation, thoughts and processes are testimonial to the chef with their detailed marination and sous-vide cooking technique, coming from a cook (who was formerly formally trained) and still loves his cuisine with his food photography and writing. 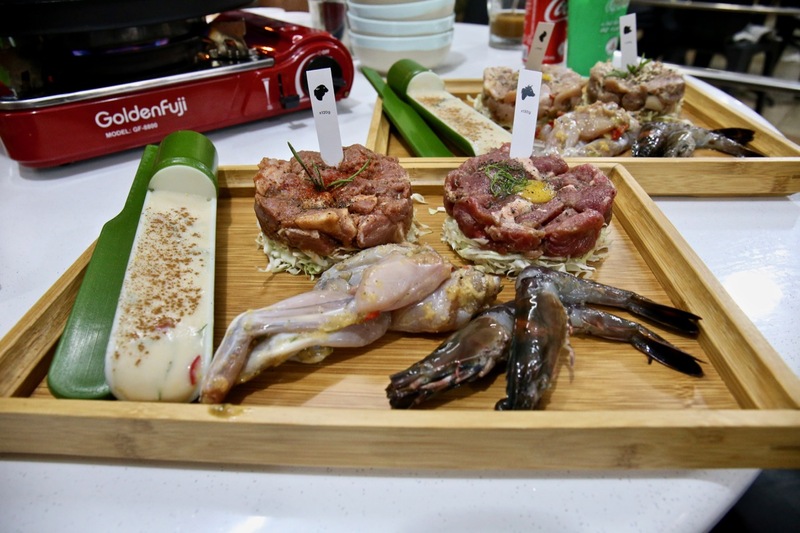 Guests can choose from chicken thigh, lean pork belly & collar, beef striploin, lamb leg and fresh frog legs. 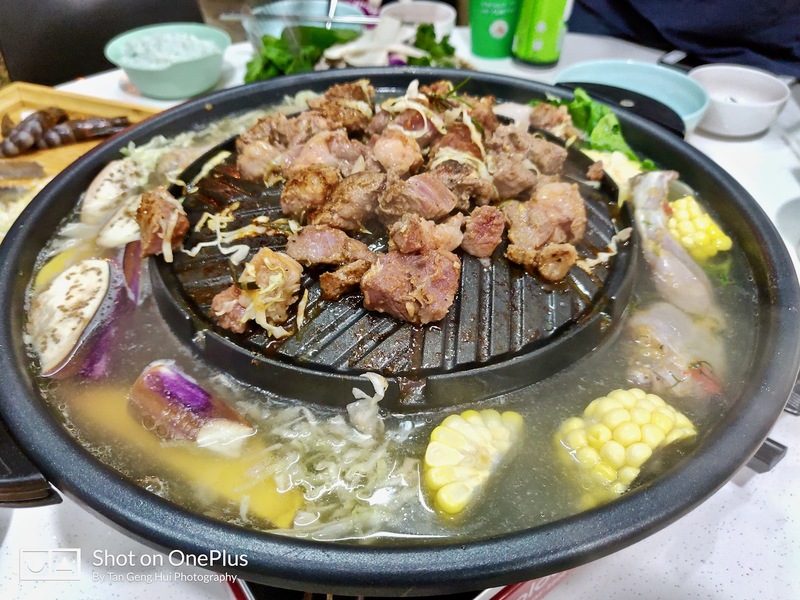 You might want to consider bringing a bigger group there and you can order all the marinated meats because they are really really delicious, the taste and seasoning melts in your mouth, sending you into a high on the meats!! This fish paste is special, made of pure fish meat without any flour, and fully customised marination with their own herbs and acid to give it that additional flavour. It’s too delicious when the whole group of us there were “fighting” to eat this fish paste, the fish paste was simply not enough for us. That would give you an indication to order more of this fish paste when you visit Quan Fa Mookata! Their broth is made fresh with tons of vegetables, a mixture of leafy and hardy types, simmered together with 2 whole freshly slaughtered chilled medium chicken daily. Yes, I am not kidding you! You can drink the soup! It’s really delicious and it will be more delicious after cooking all your various ingredients! Their condiment is interesting, special to me. The Suki sauce is made in-house from a blend of fresh organic birdseye chilli, garlic, Thai miso paste and apple cider, accompanied with extra garic, coriander and more birdseye chilli. Being a fan of chilli mixture myself, I always love such condiment mixture! There are Ala Carte options as well! Feel free to add on and upsize! After our hearty and delicious food tasting Quan Fa Mookata experience, we had a good chat, to understand and learn more about Quan Fa Mookata, the orgins, history and inspiration, to share and deliver quality fresh organic produce from Quan Fa Organic Farm, accompanied by a level of marination and preparation of the highest quality and standards, delivered with the “kampong” style mookata style dining concept to the people of Singapore. 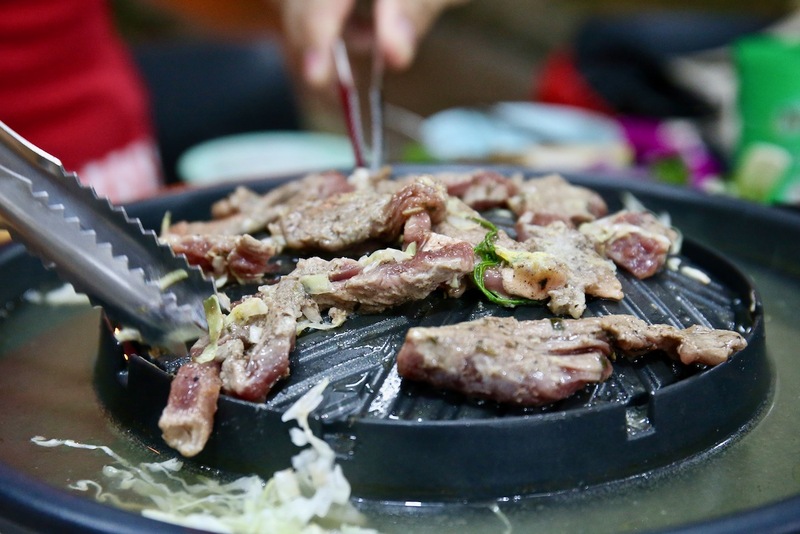 Heart warming cuisine for your heart and soul, they are of excellent quality and standards, fresh and very delicious yet you can still eat in a healthy manner whereby you can experience them at Quan Fa Mookata! You can feel the passion and pride in their organic produce, curation of local suppliers, the marination and preparation, melts right in your mouth upon cooking and eating them. Having heard so much about Quan Fa Organic Farm, where the inspiration/idea of Quan Fa Mookata was born, I would love to visit the farm myself and bring you another story one day. Share this wonderful, unique and delicious organic communal dining experience with your family, relatives, loved ones, friends, colleagues and social media! 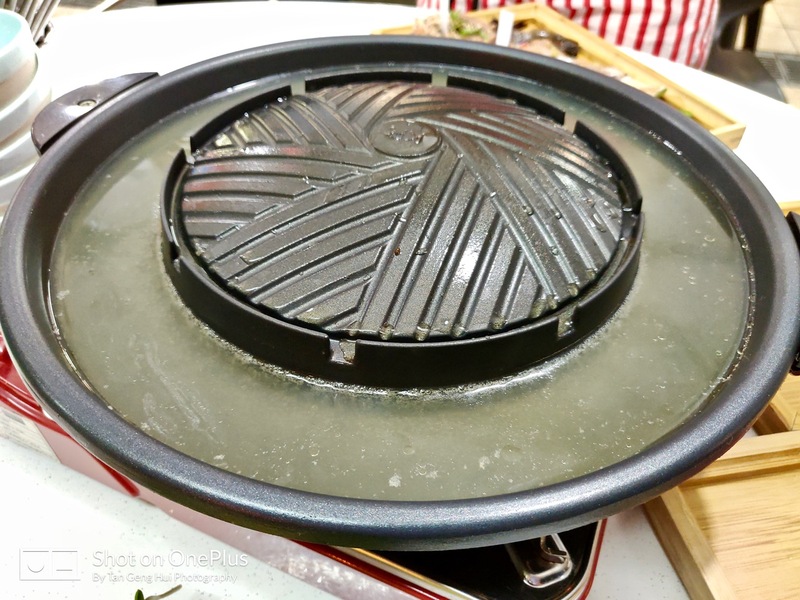 Experience farm to table mookata with Quan Fa Mookata! I would like to say a big Thank You to Marcus and Justin, from Quan Fa Mookata, for hosting us with your warm hospitality and your own unique Experience our farm to table mookata at Quan Fa Mookata! I would also like to thank Belinda for organising this wonderful food tasting session at Quan Fa Mookata! More photographs of this delightful and delicious organic fresh produce Quan Fa Mookata can be viewed here in my Flickr album!